This is a brief post about boycott tactics aimed at putting pressure on Israel to end its occupation of the Palestinian territories (the West Bank and Gaza). What is the point of boycotting Israel? At the present, given that most people in Canada and the US don’t know much about the Israel/Palestine conflict nor do they care much about it, the main point is to use boycott tactics to help educate people. When asked to boycott some Israeli product or business, the first question people will ask is why? The answer should help inform people about what is going on. Therefore one should choose targets whose actions people are likely to disagree with or disapprove of. For example companies that support the occupation and help expand the settlements, which means stealing Palestinian land and delaying or preventing the formation of a Palestinian state. Beyond educating people, another positive effect of boycotts over here (that is outside Israel), is that they generate solidarity and engage people emotionally, even if they are almost entirely symbolic. So one should target the worst offenders because these will be the cases that affect people’s emotions most strongly. The second goal is to put pressure on companies to change their behavior. 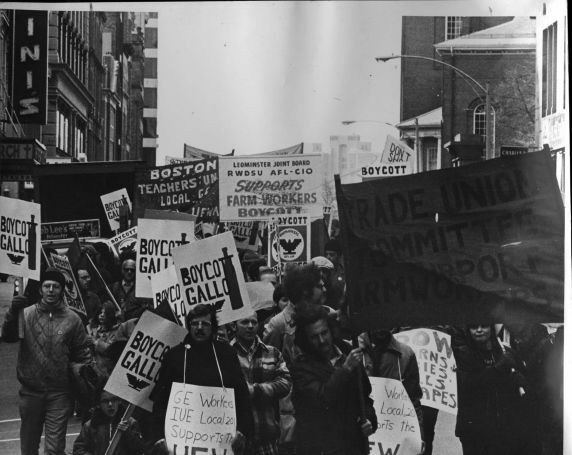 The fear of a boycott can cause a company to cease the behavior that led to the boycott. In this case it makes sense to focus on the worst offender or on one company in particular. Because this will put them at a competitive disadvantage and will provide the most incentive for the company to change their ways. This is another reason not to boycott indiscriminately. The final goal is to put pressure on Israeli society to end the occupation. I list this last, because to me this is the most difficult outcome to achieve. A purely symbolic boycott will never achieve such a goal, although it can help to educate people at home (here in Canada and the US). A boycott that causes single digit losses in market share will not lead to this goal either, although it can cause companies to change their behavior. Only a sustained and general boycott that cripples the Israeli economy will lead to this result directly. And so one should not spend much time focusing on this because it is still a far off goal. If we are lucky the conflict will end before things ever get this far. But again we should focus on the worst offenders, because this is the way to have the most positive effect on the Israeli public. If we boycott all of Israel, then there is no way for Israelis to agree with the boycott. If Israelis who are opposed to the occupation are directly targeted then it is much more difficult for even them to support the boycott and by extension its goals. If only the worst violators are targeted then it becomes easier to support change within Israel. Of course this assumes that there are enough Israelis that oppose the occupation. My main point is that one should be careful in choosing targets for boycott, because the goal of boycotts should be to educate people about what is going on, to put pressure on companies to stop or change their negatives behavior and finally to put pressure on Israeli society to end the occupation. I have listed these three broad goals in what I consider to be their order of importance. Many people believe that Israel is a secular democracy. While Israel, unlike Iran, is clearly not a theocracy at the present, it is also far from being a uniformly secular society. It is probably as or even more religious than the United States, which is itself quite a religious country. (On a side note I would argue that on a purely popular and demographic level Israeli society might be more religious than Iranian society). When Israel was founded the population was 90% secular, and only 3% of the population was ultra-orthodox. Today 43% of Israeli Jewish society is secular and 8% are ultra-orthodox. Roughly 12% are religious nationalists, or religious Zionists. Another 12% are religiously observant. The remaining non-secular Jews are still observant but less observant. The ultra-orthodox, haredim in Hebrew, are opposed to secular society. Many of the men, refuse to work and either live off of handouts or have their wives work while they spend their entire lives studying Talmud. There are 3 broad categories: Ashkenazi (that is European) Hasidic haredim, Ashkenazi non-Hasidic haredim, and Mizrahi (Middle-Eastern) haredim. For the most part they oppose democracy and support the establishment of a true theocracy (similar to Iran, but Jewish). 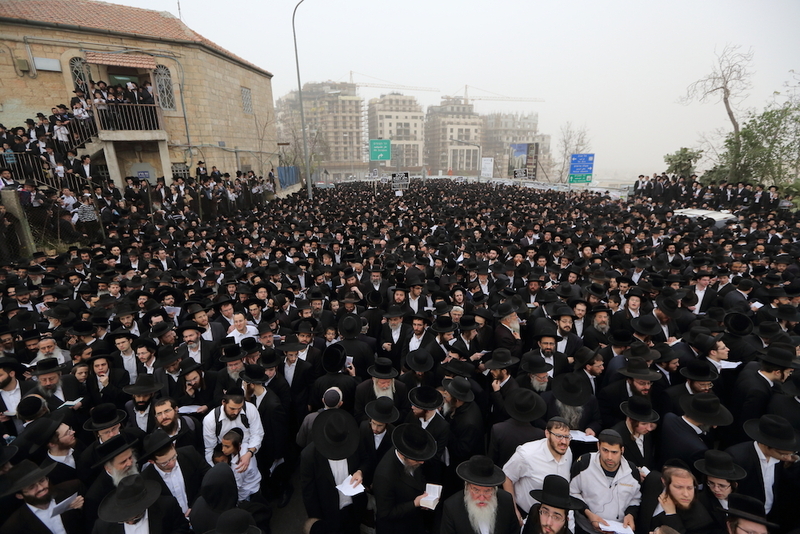 These are the Jews who wear the distinctive generally black clothes. Haredim protesting against a law that would require them to do military service, like other Israeli Jews. The religious Zionists (dati leumi, or religious national in Hebrew) are for the most part similar to the modern Orthodox in the West. They follow the religious commandments but accept to be part of secular society. However many of them believe that they are living in Messianic times and that the Messiah is about to come, and so certain religious rules can be relaxed. They are strongly Zionist in their views, and are generally opposed to giving up any of the Land of Israel to non-Jews. In these two views they are similar to Christian Zionists in the US who are anxiously awaiting Armageddon in the Holy Land, and the second coming of Christ, which they believe will occur when all the Jews return to Israel. They make up most of the settlers in the scattered settlements in the West Bank. 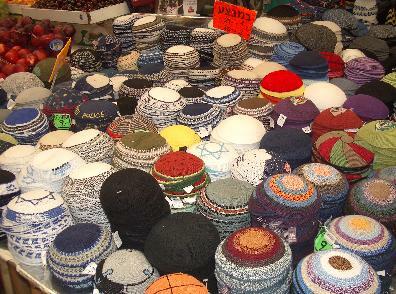 They tend to wear colorful knitted skullcaps rather than the plain black skullcaps or the old fashioned hats worn by the haredim. The remaining majority of religious Jewish Israelis are also modern Orthodox (the conservative and reform movements are not well represented in Israel and the Orthodox alone have official status), but they are less observant: most may not engage in daily prayers, many may not keep the Sabbath, but almost all are more or less sympathetic to the more religiously observant. For their part the secular Jews are about evenly divided between those who believe in God but are not religiously observant much like a great many Jews and non-Jews outside of Israel, and those who are agnostics or atheists and who more or less reject religion. The above is based on the rough understanding I have come to during my readings about Israel. Please comment below if you know of anything I have gotten wrong. Note: Due to the high birthrate among religious Jews and haredim in particular Israel is becoming more (not less) religious over time. Gershom Gorenberg states it pretty simply in his article It Isn’t About the Tunnels. So What Is the Gaza Conflict Really About? For Israelis, explosions—even of rockets intercepted in the air—are reminders of suicide bombings during the Second Intifada and before, of seeing parts of bodies on the street. The outsider can reasonably say that Palestinians, especially in Gaza, have much more reason to be traumatized. This is true. But suffering is like air, like smoke; it expands to fill all the space inside you. The fact that someone elsewhere is more afraid does not reduce your own fear. At the moment of fear, it is very easy to divide the world into those who are with you and those who are against you. So it is no wonder that the first reaction of Israelis was to want their government to make it stop. We may be opposed to the blockade and siege of Gaza, we may believe that Israel started the current conflict by cracking down on Hamas in the West Bank, but the fact remains that if we are honest we can understand the response of the Israeli public who supported the war. That is not to say that Israel was right to wage this war that killed 1,800 Palestinians, most of them civilians, or that Israel could not have done much more to prevent the killing of civilians. But we can’t pretend that the Israelis are being heartless warmongers. They have an understandable fear, and the response is about security. On the other hand I think we should not only support but demand the lifting of the siege and blockade of Gaza, so that Palestinians can live in dignity. Unlike the rockets attacks, Israelis have no excuse for opposing this. Because the blockade is not about security, it is about punishing the residents of Gaza. The blockade blocks the export of goods out of Gaza, is that because of security? The blockade until June 2009 prevented the import of hummus. Is hummus a deadly weapon? After 2009 Israel allowed hummus, but not hummus with extras, such as mushrooms or pine nuts in it, was this somehow about security? As much as one can believe that Israel has the right to defend itself from rocket attacks, I don’t think a reasonable person can believe that Israel has the right to decide what kind of food the people of Gaza should eat. Or whether they are allowed to export goods to the outside world. Israel only does this because they can and because it hurts the Gazans. So at best the motive is revenge for previous attacks. But Gaza’s worth is negative to many right-wingers in Israel. Gaza contains almost 2 million Palestinians that they want to get rid of. I think that at a minimum they hope that by making the place unlivable they can get the Gazans to leave voluntarily. But the extremists want all the Land of Israel, including the West Bank and Gaza, and they want a Jewish majority in all that land, and ethnic cleansing is the only way to get both. So getting rid of those 2 million Gazans would be the first step in that process. And there are calls to take over Gaza by force and get rid of all the current residents. Here is one by a prominent politician from Netanyahu’s Likud party: MK Feiglin’s call for annexation and ethnic cleansing in Gaza. Who are the stakeholders in the Israel/Palestine conflict? Palestinian/Arab citizens of Israel (about 1,650,000 people, just over 20% of the Israeli population). These are the Palestinians who remained within the borders of the Jewish state and their descendants. At first they lived under a form of martial law, but gradually more and more rights were granted to them. While they don’t quite the same rights as Israeli Jews, they still have the right to vote, to run for office, to serve in the military (though they are not required to do so, nor encouraged to do so). Until recently they could not lease or buy most of the land in Israel. The attorney general overturned this in 2005 but in practice those who buy such land have problems registering their ownership and face other bureaucrat blocks. Palestinian residents of East Jerusalem (about 260,000 people, 57% of the population of East Jerusalem, about 29% of Jerusalem’s total population, though the city is largely segregated between Arabs and Jews, so there is little social contact). These are Palestinians who lived in East Jerusalem when it was under Jordanian rule (as was the rest of the West Bank) and their descendants. After conquering the West Bank in the June 1967 war, Israel annexed East Jerusalem, and as such they should have received Israeli citizenship automatically. This did not happen and they became permanent residents. Palestinian Eat Jerusalemites can receive Israeli citizenship under certain conditions but most them choose not to do so for political reasons. As of 2005 5% had Israeli citizenship.As permanent residents they can live and work in Israel, but can’t vote in national elections, and may lose their right to return to Israel if they leave. Palestinians living in the West Bank (about 2,700,000 people). These are the rest of the Palestinians who lived in the West Bank when it was under Jordanian rule, and their descendants. They can be considered citizens of the state of Palestine (as recognized as a non-member UN observer state). Basically they are governed by Fatah (as opposed to Hamas). Since earlier this year Hamas (which governs in Gaza) and Fatah have formed a National Unity Government. They can obtain a Palestinian Passport, though it seems Israel might have to approve, which allows visa-free travel to a very limited number of countries (tied for 5th least useful passport). Palestinians living in Gaza (about 1,800,000). These are the Palestinians who lived in Gaza when it was under Egyptian rule and their descendants. Both in this case and in the case of the Palestinians in the West Bank, many are Palestinian refugees from land which is now part of the State of Israel. Refugees both from the 1948 war and the 1967 war. They are governed by Hamas, which won the 2006 elections in both the West Bank and Gaza. 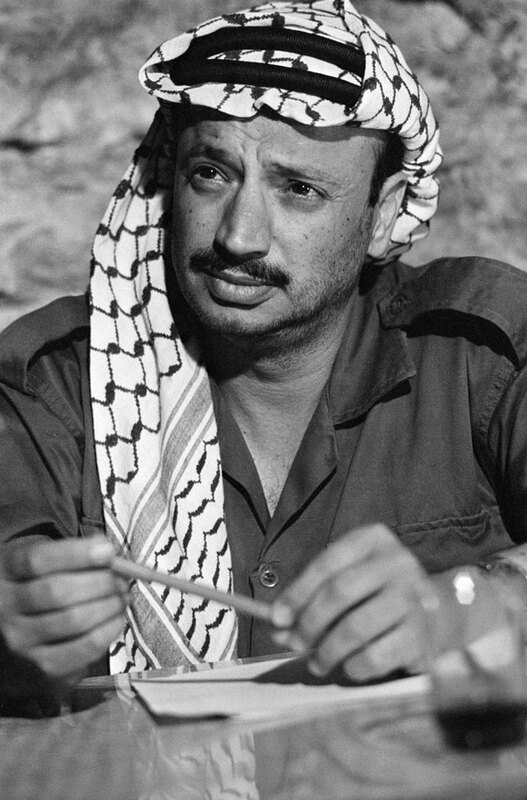 Fatah tried to overthrow Hamas in a coup, but failed, and Hamas took control of Gaza while Fatah continued to rule in the West Bank. There is a blockade by both Egypt and Israel which limits the goods which can come in, and also blocks exports, which has crippled the Gazan economy. The residents of Gaza are often more or less trapped in Gaza. Then there are Palestinians that live in diaspora in countries throughout the world. In total about 11,000,000 people (including all the above categories as well). That is for the Palestinian side. For the Jewish side there are the following divisions. Israeli Jews (about 6,100,000 people 75% of the Israeli population). Jewish population in diaspora (about 13,500,000 people, including the above Israelis). Based on the Israeli Law of Return any one who is Jewish (that is born of a Jewish mother or converted to Orthodox Judaism), as well as their children and their grandchildren can immigrate to Israel along with their respective spouses, and receive citizenship. Though in the case of anyone not born of a Jewish mother nor converted to Orthodox Judaism they will not receive Jewish status. In practice this means that any Jewish person can immigrate to Israel if they wish to (and assuming they can find a job and/or support themselves). Of the settlers in the West Bank, almost 90% live in the major settlement blocks, which are well connected to Israel by road (many of them are considered suburbs of Jerusalem). The rest live in scattered settlements. Maps of this can be seen in this previous article. The most likely two-state solution at the current time would involve Israel keeping the major settlement blocks and giving up the rest of the settlements. This was the impasse in the 2000/2001 talks between Israel and the Palestinians. The Palestinians were willing to give up their claims on the 78% of the land that Israel conquered in 1948, and were willing to waive the rights of the refugees and their descendants to return, but they were not willing to give up significant parts of the other 22% of the land. In conclusion these are the stakeholders. Which I originally saw on Norman Finkelstein’s website. This is the real risk that Israel is running. By rejecting peaceful moves towards a Palestinian state governed by moderate elements, they are opening the door to a Palestinian state established by violence and ruled by Islamic fundamentalists. And this is one reason that I think Israel should make unilateral concessions to the Palestinians so as to empower moderate elements (besides the obvious fact that Israel has a moral obligation to do these things). I can give many examples that would cost Israel virtually nothing. 50% of the occupied West Bank in Area C, which is forbidden to all Palestinians, is totally unused. Israel could hand that over now without having to evacuate any settlements. The blockade of Gaza could be ended for exports which would have no security consequences. Israel could stop expanding the settlements and build new “settlements” in the unused land in Israel proper. I think Israel should do these things to de-legitimize the claims of those among the Palestinians who say that Israel only responds to force. Right now Hamas says look Abbas collaborated with Israel and he got nothing. He is not fighting Israel for a decade now, he is keeping security in the West Bank and they give him no land and no state, so support Hamas. Luckily for Israel (but not for the Palestinians), Hamas is an Islamic fundamentalist group, and such groups are rightly condemned in the West. Today Israel’s main defense is to demonize Hamas. However if the same arguments were made by a secular democratic movement, they would be very hard to reject. And the Israeli occupation would likely go the way of South African Apartheid. Again these concessions would cost Israelis virtually nothing and would contribute to their long term interests. And yet Israelis refuse to consider them! Why is this? I think Israelis refuse to even consider these things not because they have a strategic interest to refuse, but primarily for ideological reasons. That is because of the Zionist belief that there should be a state with a Jewish majority in all the Land of Israel. And this means there can never be a Palestinian state within the current boundaries of Israel/Palestine. They may say it is because of security, but that’s not the real reason. The real reason is that their beliefs are the mirror image of Hamas’s charter. 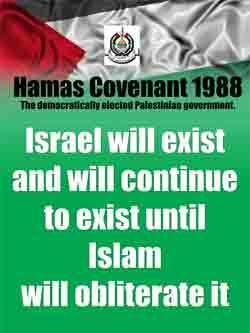 Hamas wants an Islamic state in all of Israel/Palestine and many Israelis want a Jewish state in all of Israel/Palestine. Asking Palestinians to recognize a Jewish state of Israel is in this sense as reasonable as asking Israelis to accept an Islamic state of Palestine. Many believe that Israel is grabbing land because there is no cost involved, and that it will continue to do so as long as there is no cost. But there is a cost, and it is not a small cost. The cost is economic, political, social and moral. But Israelis are willing to pay, because they believe in the ideal of a greater Israel and are willing to sacrifice their real interests for the sake of the ideology of a Greater Israel. This is similar to the case of South Africa. The white minority didn’t just support Apartheid simply because it benefited them economically. Even after it was clearly hurting their economy, they still supported it, because they at least to some extent fundamentally believed in the system. Only when threatened with economic collapse and complete international isolation did Apartheid end. Israel is fundamentally still driven in part by Zionist ideology, rather than purely by cost/benefit analysis. I say in part, because thankfully it is less than in the past. Most now accept autonomy and Bantustans (independent Gaza like pockets of Palestinian population in the West Bank), whereas the Zionist ideal is a Jewish state in all the land of Israel (and which meant for example that displaying Palestinian/Jordanian flags was officially illegal in the occupied territories before Oslo). But as Israel Shahak said (Jewish History Jewish Religion p. 121) because of this ideology, Israel is (still) not willing to make concessions for purely political reasons. Only when there is loss of Jewish life or loss of international legitimacy is Israel willing to retreat from its knee-jerk rejectionism. And because of Israel’s military might and international support, Israel can go very far in its rejection. In my opinion those who care about the fate of Israelis and Palestinians, should denounce not only Islamic fundamentalism but also Zionist ideology. Without discussing the belief in Zionist ideology, one is forced to say that Israel is in some way evil (because Israel does things that hurt not only the Palestinians but also fundamental Israeli interests as well). And since Israel is a Jewish state (actually THE Jewish state) this can lead to antisemitism. Because of this I think that criticism of Zionism actually helps prevent antisemitism, by showing where these paradoxical policies come from. Note I do not reject the idea of a Jewish State (in the sense of France as a French state). Or the idea of a Jewish State in this sense being established in Israel/Palestine. What I reject is the establishment of this state by force, and the expropriation and expulsion of the native Palestinians, the expansion of this state by force, and the fact that not all citizens of Israel are considered to be Jews, contrary to the case where all citizens of France are considered to be French (and a similar thing holds for all liberal democracies). If extending the term Jew to cover all citizens of Israel is not possible, then in my opinion the state should be Israeli or Hebrew or some other term, either that or Israel should accept that it is not a liberal democracy. Baruch Goldstein was an American-born Israeli doctor and religious extremist. While serving as a doctor in the Israeli army he refused to treat non-Jews, even those serving in the army. Though his commanding officers wanted to dismiss him, he was not disciplined because of the influence of the religious parties and fear as to their reaction. Halacha (Jewish religious law), maintains that a Jewish doctor should refuse to treat non-Jews, except where that would put Jews in danger (because of the hostility it would cause towards them). In practice these laws are not followed, but they exist, and influence extremists. As for Gentiles with whom we are not at war … their death must not be caused, but it is forbidden to save them if they are at the point of death; if, for example, one of them is seen falling into the sea, he should not be rescued, for it is written: “neither shalt thou stand against the blood of thy fellow” — but [a Gentile] is not thy fellow. Where it says in addition that a Jewish heretic can be hauled down into the well. Leviticus 19:16, where neighbor/fellow means fellow Jew. This is not to say this disgusting law is obeyed in practice, but that it reflects a strong xenophobic and racist strain of thought. Even Maimonides, a doctor himself, didn’t follow it, and was the personal physician of Saladin. Though in that case it was OK, because he was paid, and his refusal would have hurt the Jews. Furthermore Saladin was a ruler, and such rules are dropped for rulers (see Shahak p. 64). Baruch Goldstein followed the rule to the best of his abilities. In some cases he treated the Arab patient until another doctor could be found or arrived, and so compromised on his views. He was a follower of Meir Kahane who was a Jewish religious extremist. Kahane was possibly the most extreme of Israeli politicians, elected to the Knesset in 1984, though his party was banned in the 1988 election, and he was assassinated in 1990. His party and one of its offshoots is considered a terrorist organization in Israel, the US, Canada, etc. Kahane advocated revoking the citizenship of all non-Jews in Israel, or deporting them. He advocated banning marriages between Jews and non-Jews as well as such sexual relations, based on Maimonides Mishneh Torah. So he was quite racist. On Purim day (a Jewish holiday) February 25th 1994 (which also was during the Muslim holy month of Ramadan), Goldstein entered the Cave of the Patriarchs (also the Ibrahimi Mosque, the building is both a Mosque and a Synagogue) and killed 29 Muslim worshipers while they were praying, including children and injured many more, before the worshipers managed to beat him to death. Goldstein had also poured acid on the floor of the Mosque and assaulted six worshipers the previous year. And Israeli intelligence was aware of him, but didn’t act on it. 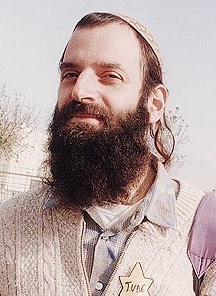 Jewish religious extremists welcomed Goldstein’s mass murder and considered him to be a holy martyr. At Goldstein’s funeral, Rabbi Yaacov Perrin claimed that even one million Arabs are “not worth a Jewish fingernail”. 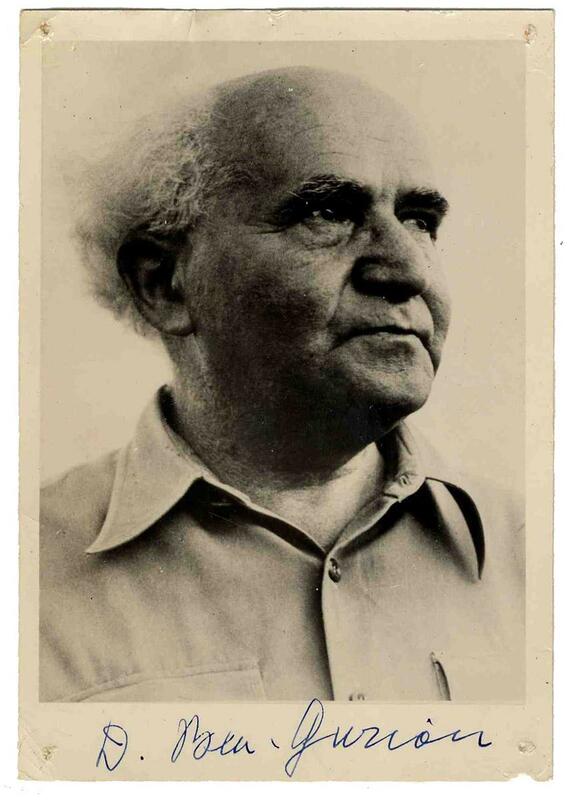 Samuel Hacohen, a teacher at a Jerusalem college, declared Goldstein the “greatest Jew alive, not in one way but in every way” and said that he was “the only one who could do it, the only one who was 100 percent perfect.” In contrast, mainstream Jewish religious leaders “rejected the suggestion that killing Palestinians with an automatic rifle” was authorized by the Torah. Rabbi Dov Lior of Kiryat Arba declared that Goldstein was “holier than all the martyrs of the Holocaust.” In the weeks following the massacre, hundreds of Israelis traveled to Goldstein’s grave to celebrate Goldstein’s actions. Some Hasidim danced and sang around his grave. According to one visitor to the gravesite in the wake of the attacks, “If [Goldstein] stopped these so-called peace talks, then he is truly holy because this is not real peace.” Some visitors declared Goldstein a “saint” and “hero of Israel”. Furthermore Israel Shahak writes that among religious Israelis there were two reactions one of support for the crime, and one of silence, mostly worry for what the consequences of the crime would be for the Jews. It happened 20 years ago this week, and the trauma is with us to this day. This is confirmed by the public statements made in the last few days. Some of these statements use the 1994 slaughter to settle political scores with the settlers in the West Bank, but the feelings of rage and guilt are authentic. True, many told themselves at the time, Baruch Goldstein took revenge on a community whose people carried out murders more heinous and terrible than this massacre (certainly in 1929). But this is such a “non-Jewish” act. Only “goyim,” as we have been taught from infancy (and history proves to be true), are capable of such brutal acts. So maybe in principle we are no different from the goyim? Hardly have we gathered in our own country and already we’re proving that we’re like all of the gentiles. Shahak in his book Jewish Fundamentalism in Israel (written with Norton Mezvinsky), cites from the Hebrew press a poll done after the massacre that showed that over 50 percent of Israelis viewed the settlers more positively after the massacre, and that over 50 percent would approve of the massacre, if it were not called a massacre but something like the “Patriarch’s Cave operation”. Though Shahak writes that there were some in the Israeli public who were shocked at the rejoicing over the massacre of innocent people and the “apologia offered by many politicians and public figures”. Some of those who were shocked described the supporters of Goldstein as “Nazis” or “Nazi-like”. Looking at the comments most condemn him, but he is defended by one user, his refusal to treat non-Jews is denied or not mentioned while he is praised as a doctor, some who knew him say he was a nice guy, but there is one individual who gives all the facts and debunks the defence. Again more comments of defense and praise for Goldstein, contrasted with condemnation. Shahak holds that those who didn’t denounce Nazi ideology are guilty of a crime, and similarly those who do not denounce the ideologies of Goldstein and his supporters are guilty of the terrible consequences that may develop as a consequence of their silence. Note as an important aside, Hamas carried out two suicide bombings in Israel as a reaction to the massacre. 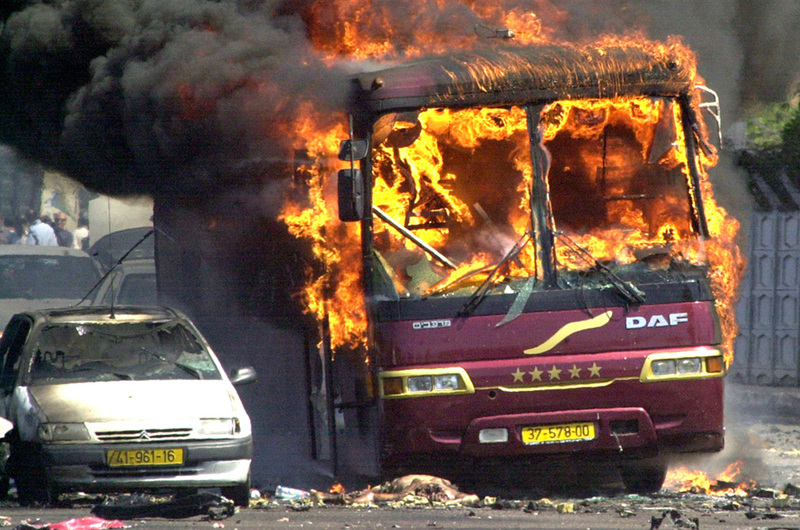 These were the first suicide bombings carried out by Palestinians in Israel proper. Until this time Hamas had refused to carry out attacks against civilians within Israel (outside the occupied territories), but changed their tactics in response to Goldstein’s massacre. I think it is important that I write about antisemitism. Not just in the context of Israel/Palestine but because I think it is a very important issue from a historical and sociological perspective that is not well understand and also because I plan on writing my next post about Baruch Goldstein and the Cave of the Patriarchs massacre. I will amongst other things be discussing the positive reaction to this heinous and disgusting crime by some in the Jewish community, and thus will examine Jewish chauvinism and the Jewish attitude towards non-Jews to a certain extent. I think that antisemitism and Jewish chauvinism should be considered together. Not because the one is caused by the other but because fundamentally they are both forms of xenophobia and racism. I will mostly consider the broad history of antisemitism because antisemitism as a major social problem and factor is in my opinion a thing of the past. 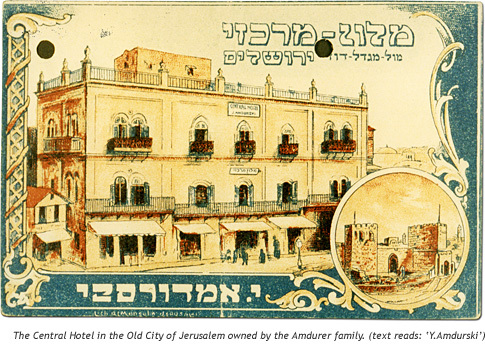 As to the history we need to make a distinction between Jewish history from the early middle ages until the 19th century, and Jewish history from the 19th century to the mid-20th century. Antisemitism in the former period was not racist. It was a terrible thing, but it was different from racism. A Jew who converted was no longer persecuted but honored. The Nazis on the other hand gassed converted Jews who wore big crosses. Also in the earlier period, Jews never assimilated but always lived apart, ruled by their Rabbis. The Jews were never expelled out of a Muslim country because it is against Islamic law. They were expelled from England, France and Spain. In the case of England it was because the Jews fulfilled a social and economic role, that of money lenders, and were tolerated for that reason, but when early Italian capitalism came around in the 12th century, their money was no longer needed and they were kicked out. As far as I can tell there are 4 broad historical causes of antisemitism. 1. Religious antisemitism: Medieval Christianity was intolerant. Muslims were never tolerated in Europe (under Christian states). Witches were burned at the stake. Jews were tolerated to a certain extent but were also periodically persecuted. 2. Socioeconomic or class based antisemitism: In Feudal society Jews generally played certain roles, in Western Europe this was money lending, which was viewed in a negative light by the church as usury and by people in general, in Eastern Europe it was mediating between the nobles and the peasants, which made the peasants hate the Jews (and also vice versa, mind you). 3. Antisemitism arising from persecution of a minority group: Persecution itself is a social disease caused by lack of social contact. The classic example is the little old lady who lives by herself and rumors go around that she is a witch, and since she has no contact with others there is no one who knows her to argue on her behalf and once enough people believe she is a witch, then she is persecuted as one. Same thing goes for the blood libel and similar lies about the Jews that spread as gossip and rumors. 4. Modern antisemitism which is based on racism, and which is different from all the ones above, and is the most dangerous. It didn’t become a widespread phenomenon until the mid to late 19th century. Which is when Jews started fleeing Eastern Europe in large numbers. As to antisemitism in Western countries today, especially the US and Canada, it is of a different form entirely. It is based on negative prejudices and stereotypes. Similar to the stereotypes about Italians or Muslims and all other groups. It is not something that would lead to pogroms. Again the other 4 kinds of antisemitism outlined above are unlikely to take hold in the West today. 1. There is broad religious tolerance, 2. Jews no longer fulfill a specific social or economic role, 3. Jews are assimilated and not isolated from the rest of society and finally 4. racism is anathema. As to the idea that Nazi Germany is a counter-example which shows how antisemitism can quickly devastate a once benign country, and that Germany was a nice place for Jews and then Hitler and the Nazis came to power and no one thought it possible that the Jews would be hurt but the German people were convinced to look the other way, etc. etc. I would say that this is bogus. Part of it is true. The part that is true is that revolutions (and the coming to power of the Nazis was a form of revolution) can lead to a sudden big change for the negative, but such revolutions require the seeds to be firmly planted beforehand. For example the Islamic revolution in Iran did make the country much more Islamic than people expected but that is because popular opinion really was deep-down more Islamic than people thought based on outward appearances. Anyways back to Germany. There was a lot of antisemitism in Germany from the mid to late 19th century on. In Europe in general but Germany in particular. The term antisemitism itself was coined in Germany in 1860. Foreigners didn’t believe they would carry out the holocaust and the final solution because the Germans were the peak of civilization at the time (science, industry, etc.) (outward appearances), but there was deep popular antisemitism (and much anti-liberal sentiment as well). In Yad Vashem I heard someone say that the Germans couldn’t help but become antisemitic because of the non-stop propaganda on the radio, but of course under those circumstances a decent human being would have thrown the radio out the window, or at least turned it off. I mean if we carry that logic to the extreme then if they played antisemitic propaganda on the radio non-stop in Israel it would lead to antisemitism among the Jews. Germans were antisemitic to begin with and the Nazis played on that in their rise to power, and it led to the horrors we all know about. 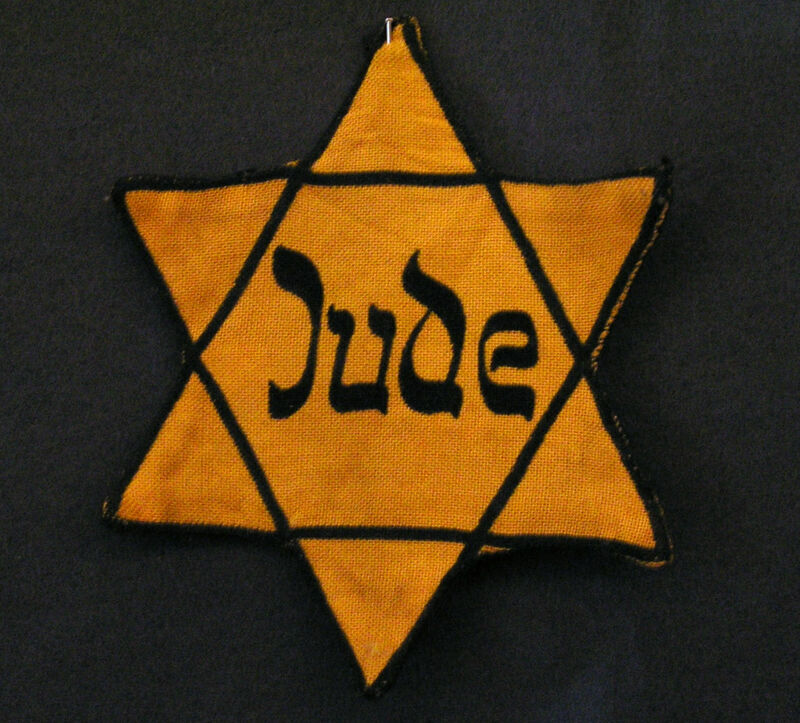 In fact many Nazis held common antisemitism in contempt, and didn’t like pogroms and anti-Jewish riots because they are both unpredictable (can lead to looting of non-Jewish properties) and the hatred eventually fades (rioters and looters let off steam and cooled down), while they wanted methods that could be sustained indefinitely, namely ghettoes and concentration camps.